I hope you are all doing well and are having a fabulous week so far. So, Australia has always been a dream vacation of mine and fingers crossed that reality will be coming true really soon. I have a fun and exciting post for you all today which will introduce a new product by Aussie Hair Care but also to celebrate Australia Day. This coming Sunday (26th January 2014) is Australia Day and to celebrate myself and a few other bloggers will be having an #AussieParty on twitter with Aussie Hair Care. If you have any hair related questions then hair expert Liz Taw and other bloggers will be available during the party to answer any questions you may have. I have already compiled a few questions i want to ask Liz. The idea behind the Twitter Party is to celebrate Australia Day and making sure you have party perfect hair all ready for the festivities you may have planned. I for one have had lots of hairstyle envy and motivation lately with all of the Golden Globes and SAG awards ceremonies lately. Who doesn't love getting dolled up and getting pampered for a change? The #AussieParty will be on Twitter this Friday (24th January 2014) from 12.30pm - 1.30pm. As it is a Twitter party then the use of the hashtag #AussieParty will be in use so you can easily pick up the feed and get your questions answered by Liz Taw. I for one will be joining in on the Twitter Party and i hope to see you all there too. Also, for all of the Aussie Hair Care fans (including myself, i cannot live without my 3 minute miracle) in February Aussie will be lunching a new product to their line…their '3 Minute Miracle Light Deep Treatment Mousse'. According to Aussie it is a do it all mousse that offers deep nourishment for your hair while being lightweight and very affordable coming in at £4.99. I do love new product releases…I will definitely be giving this new hair saviour a try when it launches. Like everything you have read so far? Well, that is not everything. Fancy winning the new Aussie 3 Minute Miracle Light Mousse and some other Aussie Hair Care goodies? Be sure to join in on the chat this Friday (24th January 2014, 12.30pm-1.30) and use the hashtag #AussieParty as 10 entries will be selected at random to win either the Ausie Aussome Volume or Aussie Mega range. Sounds pretty amazing right?! Who doesn't love a good ol' twitter chin wag with fellow bloggers, beauty experts and brands? Have you tried any Aussie products before? If so which are your favourites? Aussie is definitely my favourite drugstore haircare brand...everything's so amazing and also so affordable! i'll deffinatley be getting involved in this! I love Aussie! It's my favourite hair care range at this moment in time. It smells gorgeous and leaves my hair silky smooth. Can't wait for these mousses to be launched, need to try it out! 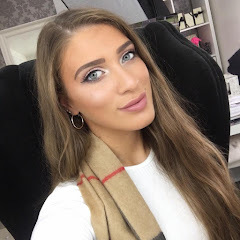 Shimmer Lashes | Beauty, Fashion & Lifestyle Blog!